It is estimated that one in five Americans have a health ‘app’ on their smart phone. One of the first uses of such an ‘app’ was to monitor vital signs such as a runner’s heart rate, by connecting a sensor from the body to a smart phone. Smart phones are already in use to take blood pressure and even do an EKG. Currently in development is a product called iTest which will begin by testing for strep throat. This is done by swabbing the throat, placing the swab into a vial of liquid, which is then placed into the iTest device, and in turn, is plugged into the phone to be analyzed. The producers of iTest are also developing tests for HIV and MRSA, a common infection that is particularly difficult to treat. They are also working on tests for the flu, malaria and sexually transmitted diseases. Another test can detect troponin which will help verify if someone has had a heart attack. The iTest is anticipated to sell for about $150 plus the test kits. Other tests may soon be integrated with the cell phone. For blood, it includes cholesterol, potassium, hemoglobin, kidney, liver, and thyroid function, and some toxins (poisons). For urine, it can test for infections, protein, and HCG (a hormone to monitor high risk pregnancies.) Saliva can be tested for influenza. It will even test one’s breath for alcohol level, heart failure, and drugs like marijuana, cocaine, heroin, and amphetamines. In development are tests for certain cancers such as lung, ovarian, breast, and prostate, which will be detected by analyzing one’s breath. In the works are ‘apps’ that will allow one to wear wireless sensors to detect blood oxygen and blood glucose levels, blood pressure and heart rhythms. This information can be sent to your health care provider. We now have the ability to take a picture of a rash with a smart phone and download an ‘app’ to process the image and receive a text with the most likely diagnosis. Then it will advise whether you can treat it yourself, or if you should see your doctor. Also in development are hand held devices that can take X ray, MRI, and ultrasound images which will incorporate the use of smart phones. The goal of the smart phone in medicine is not just for an individual’s use. It has tremendous applications for use in third world countries as well as remote and resource poor areas. Some of the information I have provided may seem quite farfetched, but I do believe it will become a big part of our future. There has been a lot of attention recently about the amount of radiation to which patients are exposed by medical x-rays. As with most medical procedures, x-rays are safe when used with care — especially because, in most cases, as little radiation as possible is used to obtain the needed results. Why worry about radiation exposure? Radiation in sufficient doses can ultimately cause cancer. It is difficult to arrive at any accurate figure of the number of cancer cases due to x-ray exposure, but it is probably fairly low. The recent discussion of radiation exposure deals with the newer generation of x-ray exams, especially CT (or CAT) scans. About 60 million scans are done yearly in the U.S. This computerized type of x-ray exam has revolutionized the ability of a physician to diagnose critical diseases and injuries, such as appendicitis, stroke, blood clots in the lungs, kidney stones, internal injuries from accidents, heart attacks and many more serious medical problems. However, the scans expose a patient to much higher doses of radiation than plain x-rays. Technological advances can help in reducing radiation exposure. 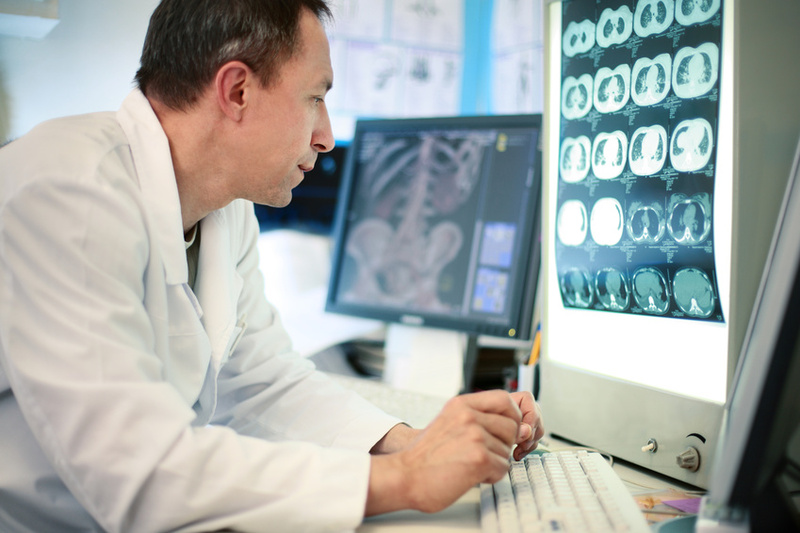 Newer scanners may use less radiation, and newer guidelines may allow doctors to use CT scans less often. Attitudes about scanning might need to change, as well. Doctors and patients need a heightened level of awareness about the amount of radiation to which one is exposed. Another source of concern is the entire-body scan, which has been made popular through direct advertising to the public and can probably cause more harm than good. In addition to medical diagnostic radiation, we are all exposed to natural environmental radiation from cosmic forces, such as the sun, and even rocks and minerals. You might live in an area with a high exposure to radon gas in your house, which can give you added exposure to radiation. There is also exposure — although very minimal — to man-made factors, such as nuclear weapons-testing fallout, industrial sources, luminous watch dials and smoke detectors. The bottom line is that you should agree to have a radiation-based medical test when it can improve your health or save your life. Your doctor should discuss with you the benefits versus risks of any x-ray test that is ordered for you. We all need to be aware of and proactive about certain health maintenance issues that can contribute to our well-being and prolong our lives. I would like to describe some of these important health issues for adults to consider. First of all, I’d like to address the fact that 12,000 women are diagnosed yearly in the U.S. with cervical cancer. A Pap smear to detect this disease can be done during a routine pelvic exam. One should start having the test after becoming sexually active, or by age 18. It needs to be done once a year until a woman has had at least three normal Pap tests in a row. After that, it should be done every three years until age 65, when the chance of cervical cancer drops significantly. Women also need to examine their breasts to detect breast cancer, which is the second leading cause of death in women, affecting almost 300,000 women annually. Self breast exams should be done monthly, beginning about age 20. Women should talk to a doctor about how to check their breasts and have a doctor check them every year or two. A good guide for self breast exams can be found online at http://www.breastcancer.org. Go to “Symptoms and diagnosis,” to “Screening and testing,” to “Breast self exam” and finally to “Five steps to breast exam.” It is worth the effort to check it out. Women should also have mammograms every one or two years beginning at age 40. Men need to be concerned about prostate cancer. This disease affects as many as 235,000 men a year and is fatal to 28,000. There is an old saying in medicine that if a man lives long enough, he will develop prostate cancer. Many of us may remember a popular musician from the 70s and 80s named Dan Fogelberg. He recently died of prostate cancer at age 56. He was diagnosed several years before his death and became an avid spokesman for men to have routine prostate exams, especially beginning by age 50. Yearly PSA blood tests and a rectal exam by a doctor should begin at age 50 and continue until age 70. Both men and women need to be screened for colon cancer, another leading cause of death. About 150,000 cases are reported per year. This disease is seen rarely before age 40. Colonoscopy has become exceedingly popular as the recommended diagnostic tool for the detection of the colon cancer beginning at age 50, and it should be done every seven to 10 years. All the above recommendations are general guidelines. If a person has a family history of a particular disease or other known risk factors, consultation with a doctor may provide a more specific plan. I know the thought of undergoing a pelvic or rectal exam is unappealing to most people, but over the years, I have witnessed many lives saved by those who are willing to follow these precautionary steps by working with their doctor. The life you save can truly be your own.